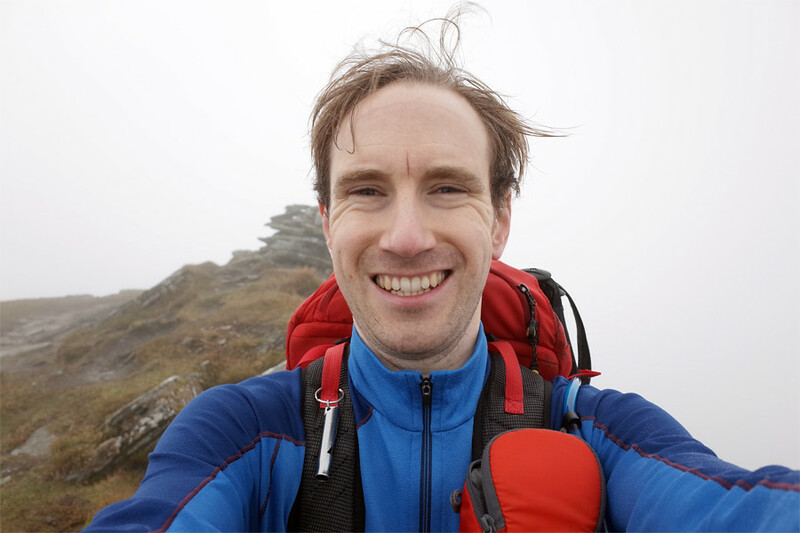 A month on from my first visit to the western end of the Lawers range, I was back for the five main munros and inching ever closer to my first really big milestone of fifty munros. Forecast for Friday was for low cloud but quite warm and no wind. Game on. Parked up at the Lawers visitor centre car park around 9 where I was met by Stevie from Killin taxis who drove me east to the start at Lawers. I set off through the woods and soon reached the hillside which was cloaked by a low blanked of cloud. 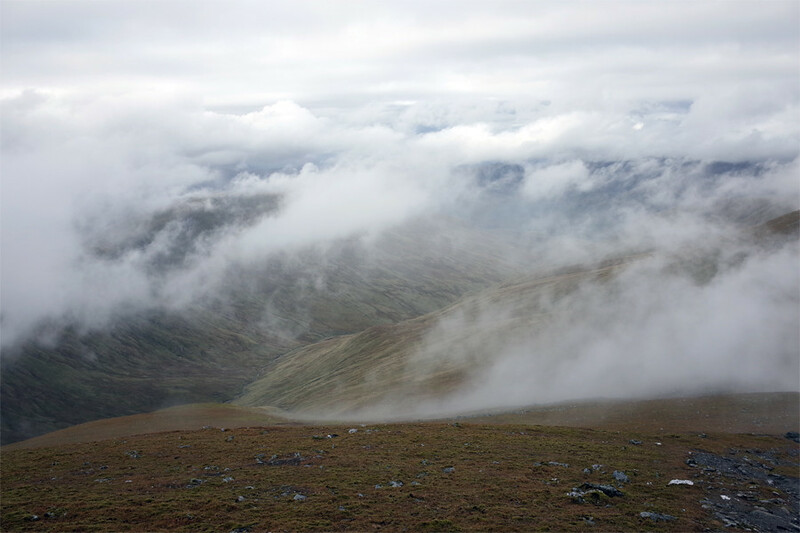 Took me about 90 minutes to get up to Meall Greigh - felt like quite a long slog. Striking west to Meall Garbh a helicopter buzzed overhead - reasonably closely judging by the sound of the rotor - but still well out of view in the cloud. Approaching Meall Garbh it briefly looked as if the clouds might break and I was offered a teasing glimpse of the hillside and a slither of blue sky. Sadly the blanked of cloud soon smothered the hillside once more. 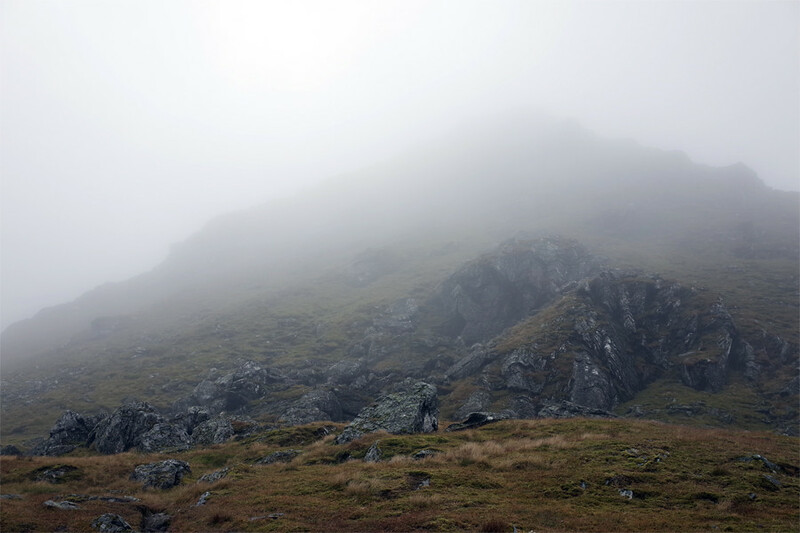 The summit of Meall Garbh is confusing in poor visibility. 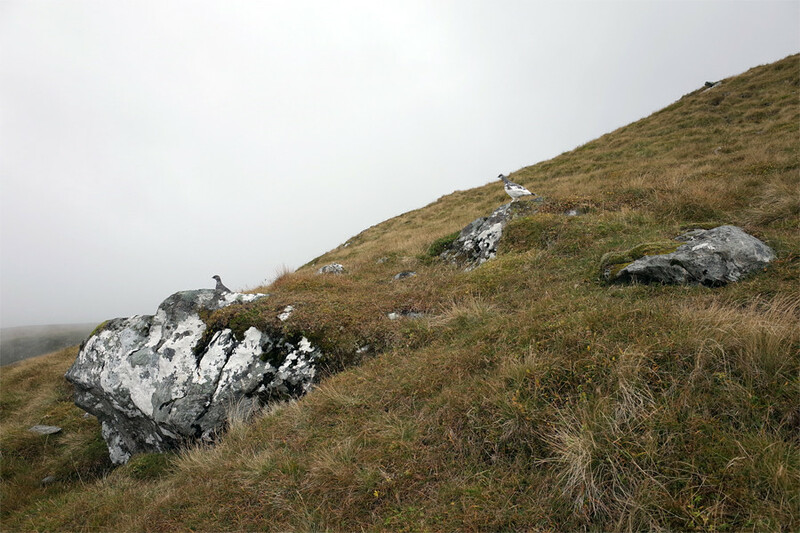 Approaching what I thought was the summit I followed a well worn trail southwards passing a cairn with a metal protrusion. Soon I found myself on a plateau and could see the hill rising again to my right. Something wasn't right. 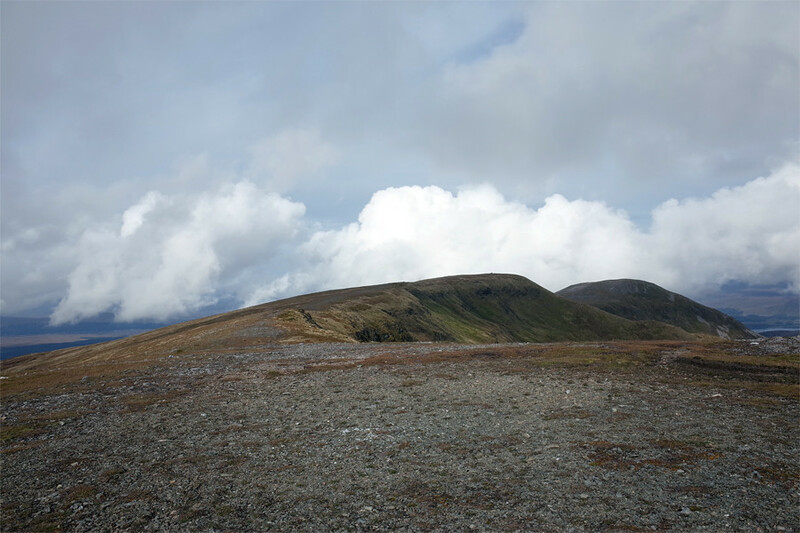 I then recalled reading in the route description that Meall Garbh has two little ridges across its top and that the summit was on the second one. So I hooked north again and found my way to the summit. I knew that An Stuc was to be the crux of the day. Wasn't really sure what to expect. The face is certainly intimidating viewed from its base - particularly in the mist. But I found an easy path virtually all the way to the top. I'm sure there are harder ways to the top but why make life hard for yourself? Onwards to Lawers itself. Such a shame that there were no views. Leaving the misty summit I made another nav error, beginning to descend the east ridge before realising my mistake and returning to the summit to start again down towards Beinn Ghlas. 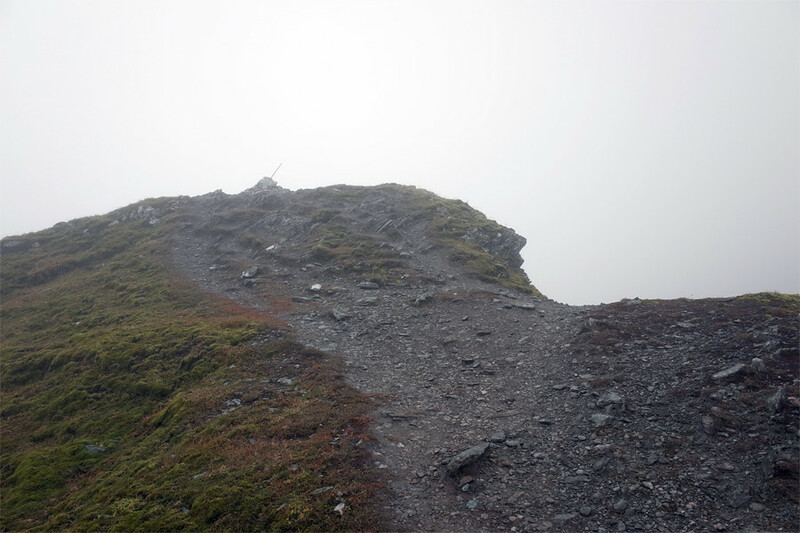 I reached the fifth munro shortly afterwards and had not seen a soul all day. If you want the hills to yourself come when the clag is down! It was a long, tiring day but great to get a big day like that under my belt after slow progress earlier in the year. Taking me to 49 munros the first major milestone was tantalisingly close. 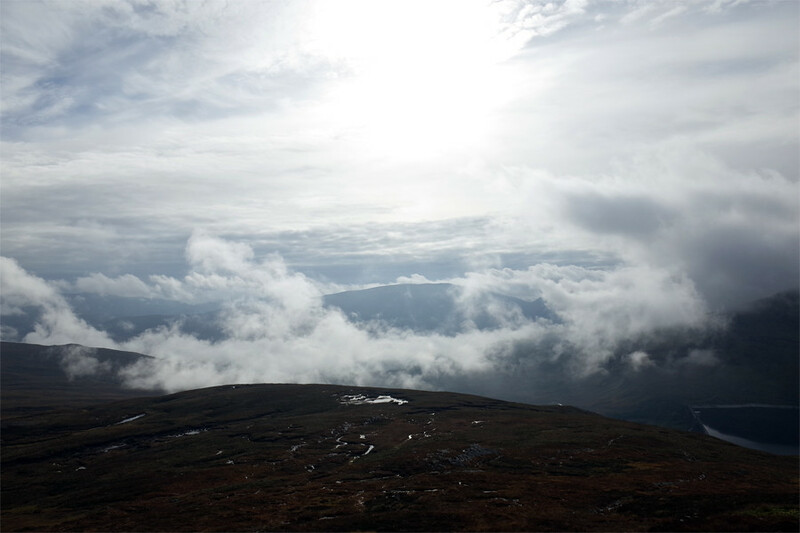 I'd intended to climb Schiehallion the following day to make it 50 but the likelihood of another cloudy day and a desire to make it as easy a day as possible saw me head for Meall Buidhe instead. 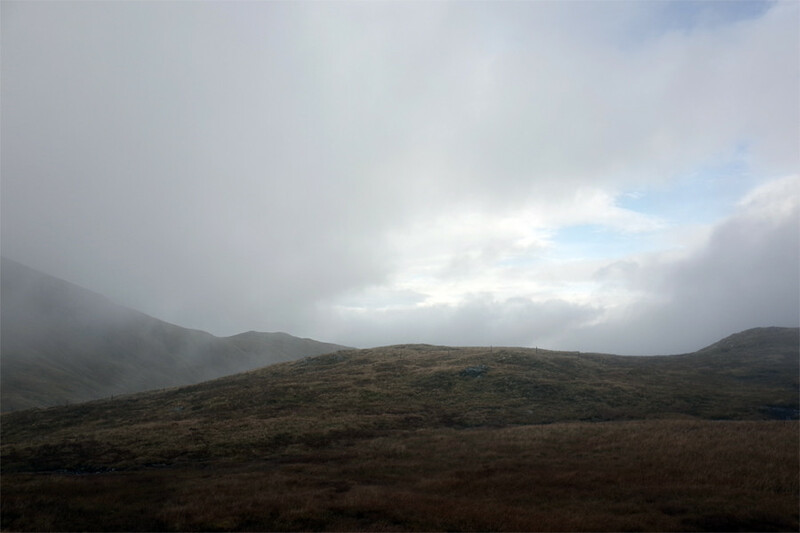 Meall Buidhe is a pretty undistinguished hill but the weather on Saturday was warmer and clearer than forecast. After Friday's exertions on Lawers this gentle stroll (actually a bog trot) was just what I needed. 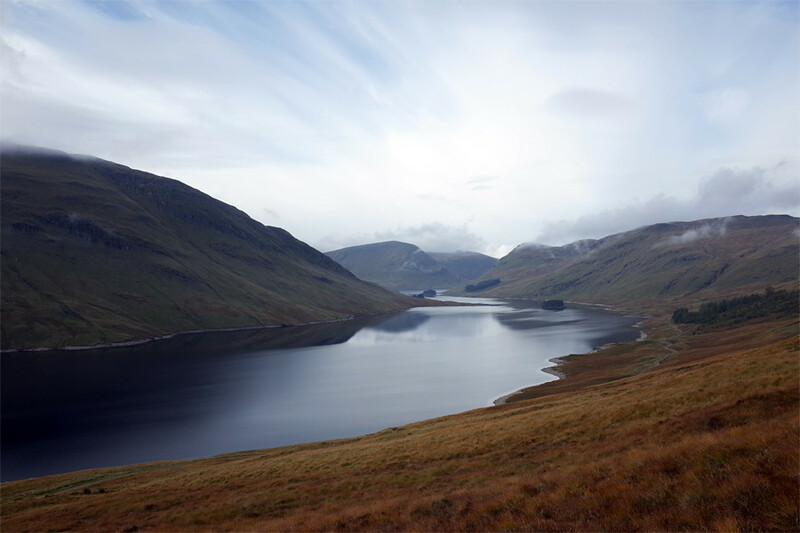 The views over Loch an Daimh in autumn light were serene. 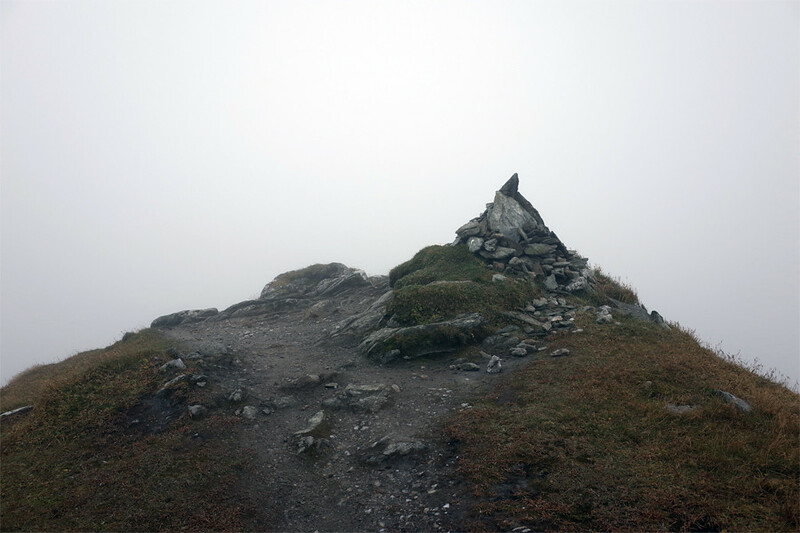 Once again I had the summit to myself and stopped a while to take in the views, still partially obscured by cloud. I didn't bother with Stuchd an Lochan but decided instead to hightail it back to Crianlarich for the rugby. When my dad bought me a munro book at Christmas 2012 after we'd visited Skye together that autumn, the prospect of climbing the munros seemed like a wonderful but somehow unachievable goal. How would I find the time and work the logistics to escape London frequently enough to make any kind of progress before my hair turned grey? Well, somehow it's happened. Still a long way to go - but I'm inching ever forwards - and making the most of the Welsh Hewitts on the way too. Last edited by Riverman on Sun Oct 11, 2015 10:09 pm, edited 1 time in total.